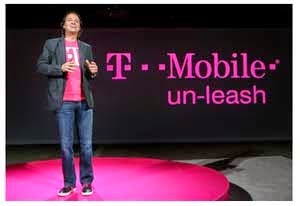 Despite the reluctance of FCC officials to bless a deal between T-Mobile and Sprint, John Legere, CEO of T-Mobile, sees consolidation of the industry in the future. Legere this week sang the praises of consolidation as a way to increase competition. “When you play this game over five years or so, there are capital requirements and ways to catch up with the big guys,” he said in an earnings call. “We’ve always said, at some point, in terms of the industry, it’s a consolidation game.” Legere didn’t mention Sprint specifically, and he took pains to say that he was also discussing potential deals with smaller companies, according to Bloomberg. A deal with a smaller, regional company would be great news to tower owners. They wouldn’t have to worry about losing a revenue source. Last week, Sprint executives starting meeting with banks to discuss funding regarding the deal.